Another reason to love chocolate. We already know that anti-oxidant-packed dark chocolate can improve brain functionality, cure a cough and make you feel happier. Now, a new study says eating a piece of dark chocolate every day can make you a better athlete. Inspired by a recent trend of athletes drinking beet juice to boost their athletic performance, a team of researchers from London’s Kingston University started looking into dark chocolate, theorizing that it could have similar effects. What do beets and chocolate have in common? Beet juice contains nitrates, which turn into nitric oxide in the body and help athletes use energy more efficiently. The cacao bean contains epicatechin, a type of flavanol, which also amps up the nitric oxide in a person’s body. 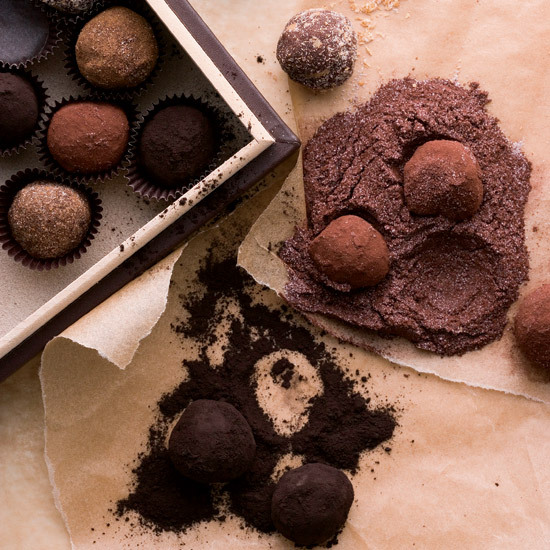 So, researchers hypothesized, chocolate could be just as good for athletes. The team tested their theory on two groups of cyclists. One group replaced one daily snack with 40 grams of dark chocolate for two weeks. The other group replaced one daily snack with the same amount of white chocolate. The athletes then underwent cycling exercises in a sports performance laboratory while their hearts and oxygen levels were measured. The results: The cyclists who ate dark chocolate used less oxygen while exercising and covered more distance during a time trial than their white chocolate-eating counterparts. Get ready for an onslaught of extreme dark chocolate sports snacks.